Love One Another Hand-painted Plate, hand painted in the USA. 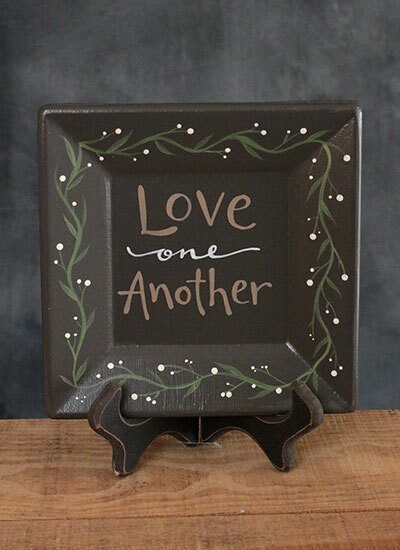 This small square plate features free-hand lettering in taupe and white, reads "Love one another." 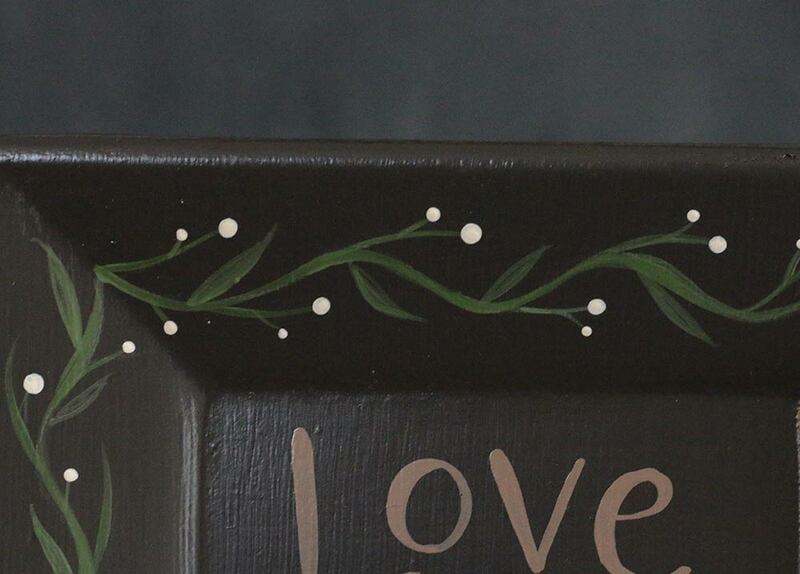 Background is a dark taupe brown - the edges are hand painted with green vines and white berries. Measures approx 6 inches square, and approx 1/4 inch thick. Made from repurposed decorative wood plates. Back is painted black, and signed by the artist. Indoor, decorative use only (not for using with unwrapped food). 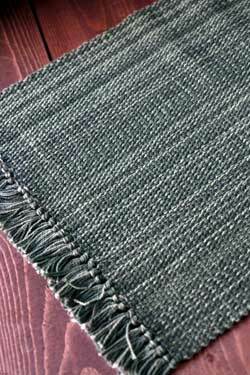 Clean with a soft cloth, do not get wet. NO computers/vinyl/transfers/stencils/patterns were used, it was painted completely free-hand, using artist's own exclusive design, with paint and brushes. Painted with acrylic paint, lettering painted with professional sign lettering enamel paint, sealed with satin varnish for protection. Give your home a dose of positive inspiration as well as one of a kind decorative folk art with this Amazing Grace hand painted plate. This small round plate features free-hand lettering in barn red, white, and navy blue, reads "America the Beautiful." For a unique touch of fall country decor, this small round plate features a hand-painted acorn in shades of brown with hand-lettering in chocolate brown. Christmas Hand-Painted Plate with Stars and Vine, painted a beautiful burnt red color, antiqued with dark brown around the edges for depth. Perfect gift for a creative soul, this decorative wooden plate features hand lettering proclaiming the artist/crafters mantra - "Eat, Sleep, Create, Repeat!" 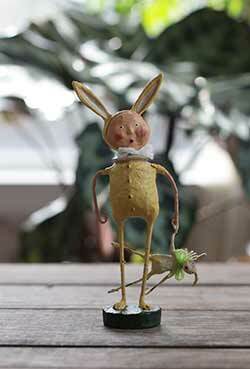 Perfect piece of artwork for that special little home! This decorative wooden plate is hand painted to order for a unique and one of a kind gift or decoration! Add a sweet spot of sunshine to your home decor with this hand painted Hello Sunshine decorative plate! Measures 6 inches. Painted to order. Add a touch of folk art to your home with this original, one-of-a-kind folk art wooden plate! Measures 6 inches. Featuring a simple, clean black and and white color palette and modern calligraphy, this decorative wooden plate is hand painted to order for a unique and one of a kind gift or decoration! Add folk art charm to your country home with this sweet little house plate, which proclaims "Love grows best in little houses." Perfect for a unique and one of a kind housewarming, mother's day, or birthday gift! Remind and encourage family and friends with hand lettered decorative plate, featuring a portion of the beloved verse from 1 Corinthians 13: "Love never fails." Distressing techniques add a vintage, rustic look. 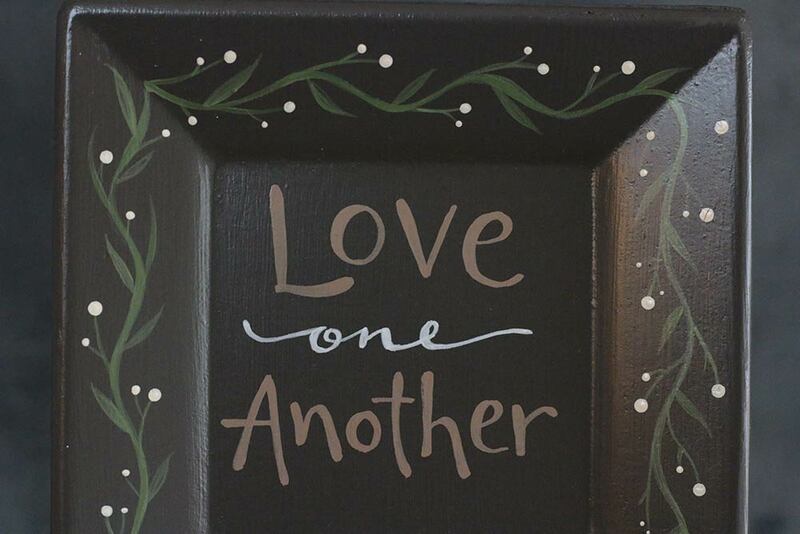 This small square plate features free-hand lettering in taupe and white, reads "Love one another." 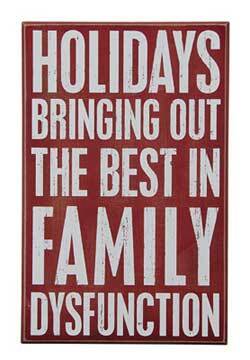 Makes a great gift, or decorative accent for a shelf or mantel! Any time is a great time to say I love you to that special someone - give the fit of uniquely hand painted folk art with this decorative wood plate! Painted in a beautiful rich red, distressed and antiqued for a unique vintage look. Perfect for St. Patrick's Day decor, a bit of Irish, or a fun touch of green! Measures 6 inches. Perfect gift for that special someone that makes your knees go weak - give the gift of uniquely hand painted folk art with this decorative wood plate! Measures 6 inches. 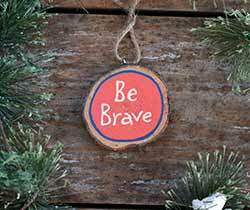 Makes a great inspirational gift! Measures 6 inches. Hand painted in the USA. Perfect for a dog-lover, but a great reminder for everyone! Custom color option available. Measures 6 inches. Perfect gift for that special someone, this small round plate features free-hand lettering and a fantastic chippy paint look perfect for country, primitive, or vintage decorating styles!